Veer Savarkar Marg, Opp. Siddhivinayak Temple, Prabhadevi, Mumbai, Maharashtra, 400025. Welcome to Mumbai the bustling commercial capital of India and the land of opportunity a place where quaint traditions and colourful past co exists with th More Info..
Sea Princess, plot no 133, sector-36, Palmbeach Road, Nerul, Mumbai, Maharashtra, ..
Fruition Executive Apartments The new Legacy of luxury brings to you amenities like Sea facing balconies fully equipped kitchenettes well endowed and furnis More Info..
Next to Meridian School, Kalyan Murbad Road,Kamba Village, Mumbai, Maharashtra, 421301. River Winds resort is the first resort in kalyan suburbs located about 8 kilometers away from Kalyan Railway stationW 3 kilometers from Shahad station and 68 More Info..
76, August Kranti Marg,Off Kemps Corner, Near Cumballa Hill Hospital, Mumbai, Maharashtra, 400 036. If convenience comfort and reasonable price is what you are looking out for Hotel Royal Castle is the one only place to suit your budget and taste Hotel Roya More Info..
Nehru Road Ext., Vile Parle (East), Near Domestic Airport, Mumbai, Maharashtra, 400099. 3 star Hotel Transit in Mumbai is a newly upgraded business hotel in Mumbai Bombay just 3 minutes from Mumbais domestic airport The Airport Budget hotel in More Info..
Near Lilavati Hospital, Bandra Reclamation West, Mumbai, Maharashtra, 400050. Hotel Rang Sharda is the best located Hotel in Mumbai right in the heart of the city and the suburbs It is close to airport as well as extremely close to sea More Info..
Lane next toD-Mart, Nahar Amrit Shakti Complex,, Chandivali Studio Road, Near Powai, Andheri (East), Mumbai, Maharashtra, 400072. Oritel service apartments is a unique hospitality property consisting of 63 fully equipped well appointed tastefully decorated apartments In a compound of al More Info..
Rose Garden Hotel Pvt. 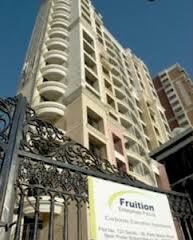 Ltd. 21st Road, Khar-Danda, Khar (W), Mumbai, Maharashtra, 400052. 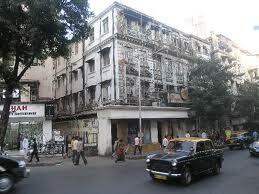 34 b T-series lane, Opp Fame Adlabs, Off New Link Road, Andheri West, Mumbai, Maharashtra, 400053. We are pleased to introduce ourselves as a unique three Star Boutique Hotel in the Heart of suburb at AndheriWest ideally located surrounded by Fame Adlabs I More Info..
75, Off. Nehru Road, Near Santa Cruz Airport, Vile Parle (E), Mumbai, Maharashtra, 400 099. 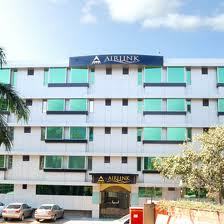 Hotel Airlink Nestling in Vile Parle in the heart of the emerging business district of Mumbai Airlink unique location makes it an ideal choice for the travel More Info..